"Please call if unable to attain this value BEFORE INSPECTION." Photos of the property, the request said, could not include "unfinished construction or damage." Gregoire knew right away that the loan company was trying to influence his valuation of the home and it would be unethical to take on the work. "It was the most blatant request I've seen," said Gregoire, who is chairman of the Florida Real Estate Appraisal Board. He said he's seen a recent spike in unethical requests like the one from California. In Ken Verrett's earlier blog post Zaio and Me - The Business Model Examined , Ken reviewed the Zaio business model, from a fee appraiser's perspective, based on information he had gleaned from appraisal forums and the company's web site. In response to Ken's blog article, Thomas J. Inserra, SRA and CEO of Zaio Corporation, contacted Ken to provide some additional information and insights into the inner workings of the Zaio Model. With Ken and Thomas Inserra's permissions, I've reprinted the combined email responses from Mr. Inserra. Minor liberties have been taken in reformatting the email responses, but otherwise the responses are un-edited. Ken followed-up with his own response which I'll re-post as a "Comment" to this article. This type of exchange is what Web 2.0 is all about! THANKS to Thomas Inserra, SRA for his comments . . . READ ON! 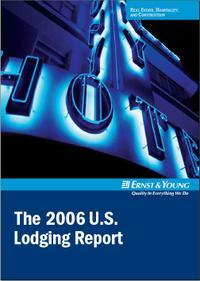 The 2006 edition of the Ernst & Young LLP U.S. 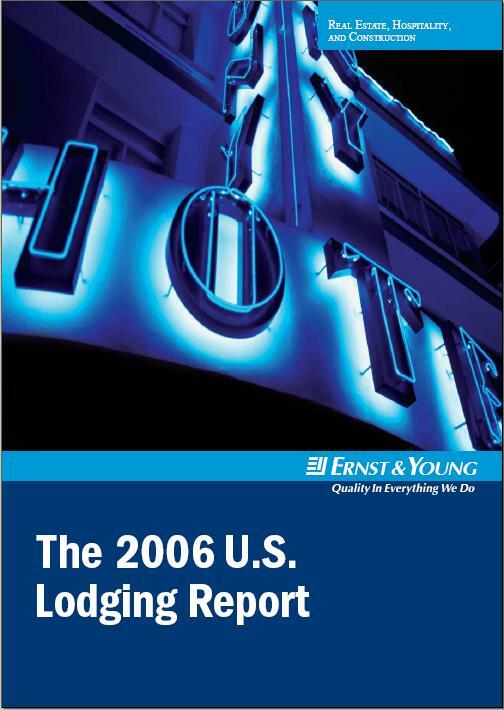 Lodging Report offers their assessment of the direction of the U.S. lodging industry, including their thoughts on key lodging industry trends and segment performance, as well as their detailed outlook for major metropolitan markets. Click here for a link to their report. In 2006, it is estimated that higher room rates will continue to drive performance and account for 75% of the total RevPAR growth this year. ADR is anticipated to increase 5.0% in 2006, bringing ADR levels to $95. 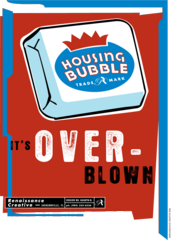 Occupancy is anticipated to increase by 1.0 percentage point to 64.0%, resulting in an overall RevPAR of $61, which represents year-over-year growth of 6.7% compared with 2005. 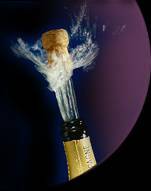 Resolve to Make 2007 Your Best Year Ever! Most of us formulate our "new" resolutions at the beginning of the New Year. Whether it is losing weight, being more organized, generating more appraisal orders or becoming more health-conscious, we all vow to "do better" in the future. Before setting any personal or career goals, it's important to get a better understanding of yourself, your values and the beliefs that support them. Here are seven tips to help you follow through on your well-intended resolutions . . . The 12/28/2006 Inman News Story (Click Here) "Ex-mortgage loan officer to do heavy time for fraud" says: "A federal judge has sentenced a former mortgage loan officer convicted of organizing a Washington, D.C., house-flipping scheme involving mortgage fraud to more than 24 years in prison." Five others charged in the scheme have also entered guilty pleas. I've listed Brad Geary's, “Universal Truths of Mortgage Fraud” in the Appraisal Scoop many times. According to Mr. Geary "Virtually all mortgage fraud combines at least two of the "Universal Truths" of mortgage fraud. This case is no different! As usual, an appraiser was needed to seal the deal. BUT . . .this time they didn't even use a "licensed" appraiser! "Robbie Colwell, who was paid to write appraisals that inflated the values of the properties, pleaded guilty to conspiracy to commit bank fraud. Prosecutors said Colwell was not a licensed appraiser but used other appraisers' names and licenses to write "completely fabricated reports on the value of the houses." "Nearly all of the appraisals claimed the homes had undergone complete rehabilitation and remodeling, when in fact none had renovated kitchens or bathrooms, many had crumbling walls and ceilings, and one was merely a shell, with no interior walls or floors at all." The perfect gift for your favorite real-estate pro! 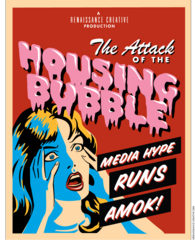 Help fight media sensationalism surrounding the overblown, “Real Estate Bubble” AND help others in need! 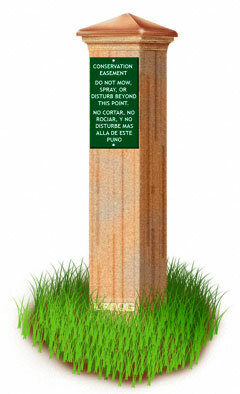 ALL proceeds donated to Habitat for Humanity and Home Builders Care. 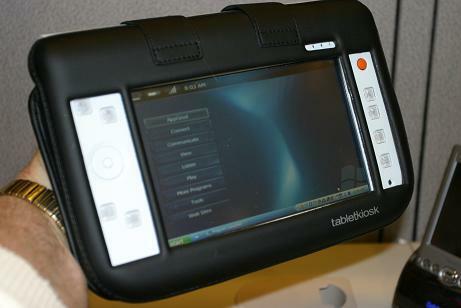 2007 - Will It Be The Year of the Ultra Mobile PC for Appraisers? Patrick Santry of Santry Technology Solutions, and owner of the popular gadget site: Redmond Gadgets.com says: "The year 2006 brought the computer world a new form factor, this was the Ultra Mobile PC (UMPC). The idea behind this venture backed by Microsoft was to create a computing experience that anyone could carry around with them and access at any time. Weighing in at just around 2 lbs. and with a seven inch screen it was going to make life a bit more portable." 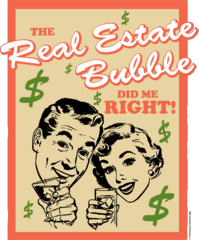 Could 2007 be the year that appraisers have been waiting for? Could there finally be a convergence of hardware, software, value and utility next year? Could the Ultra Mobile PC (UMPC) be the key to that goal?. Client pressure can come in many different forms. Comments below are from a recent article on a different kind of client pressure. In this case, the pressure to inflate results in the tax payer getting a bigger deduction. A lucrative scheme to not develop land: Easement abuse can shortchange state. It's high time the Colorado legislature got a grip on the "conservation easement" program, which is costing the state tax revenues at an ever increasing rate. As Rocky Mountiain New reporter Ann Imse noted the other day, the loss of state income taxes has risen from $2.3 million in 2000, when the program began, to $7.5 million in 2002, to $57.3 million in 2004 and to $85.1 million in 2005. That kind of exponential growth in lost revenue is not what lawmakers had in mind. Something's wrong somewhere. The predictability of revenues gained or lost is important to the state's budgeting process. The money is going out in tax credits to people who have managed to sell or donate the development rights to their land to Great Outdoors Colorado or to any of the numerous private land trusts. These groups are supposed to ensure that the owners - who in most cases continue to control the land and can restrict public access to it - never develop it. Click below to read on . . .
not a creature was stirring, well, I was using the mouse. In hopes that videocasts would be part of the fare. with visions of ultra mobiles dancing in their heads. were visiting websites by an LCD hew. I opened up Ultranauts to see what was the matter. What was happening out on the Las Vegas strip? I soon realized, it was a preannounce! A Dell Ultra Mobile PC and lots of gear! Surely this must be some kind of trick! But a Dell Ultra Mobile, it was only a dream! on Flybook, on Sony, on Vega, to me Oh! Now dash away, dash away, spread mobile to all! Thanks to Ultranauts for this GREAT Holiday Gift! 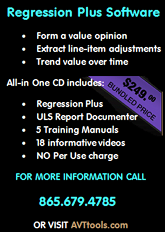 Organize Your Appraisal Office Desk in 10 Simple Steps! I posted this article back in September, but I think this is a good time to "re-post" it? This is the time of year when most appraisers have a seasonal slow-down and begin to make New Year's Resolutions! Besides losing weight, at the top of my list EVERY YEAR is to Get Organized! This post is a good starting point but I'll be adding some more thoughts after the first of the year. I welcome YOUR thoughts! If you have a favorite organizational tool or tip, be sure to add your "comments" to any of the blog posts in this series. The appraisal desk at the World HQ of Brian J. Davis and Associates includes a 4-in-1 printer-scanner, a framed picture of my wife, a MINI, two flat-panel computer monitors, a VoIP phone, and my PDA/UMPC. Conspicuously missing from my appraisal office desk are papers. Not there!" In a later blog post, I itemized my Ten Steps For Getting Started! But after reading an article by Maria Gracia, author of Finally Organized, Finally Free I got to thinking that there's an even more BASIC step that needs to be taken. Decluttering the workspace! First we need to get our desk organized! When was the last time you saw your desk? If it has been awhile, TODAY is the perfect day to find it under those towering, paper mountains.